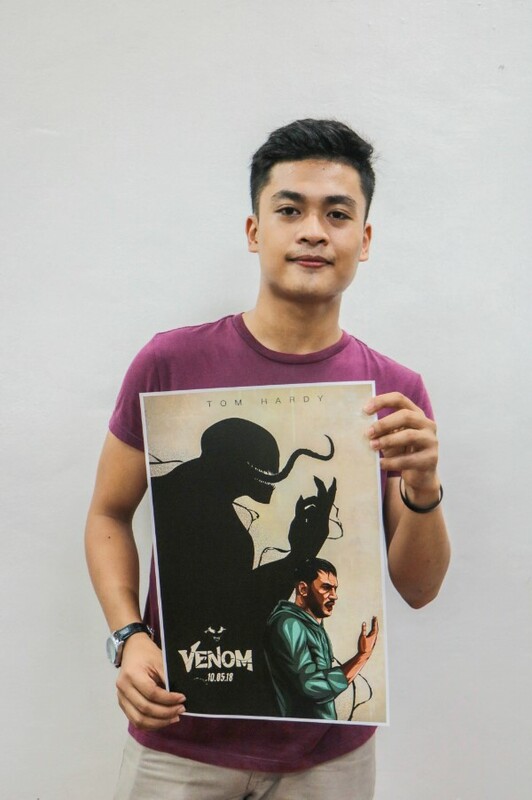 We had just reported that 7 filipinos had made it to the final judging in a global Venom art contest and just recently concluded, it was Jeuz Sumangil, a Filipino student from Davao, who emerged as one of the five grand winners as he bested over 3,600 artists in Talenthouse’s Venom alternative poster competition! The global contest was a collaboration between Talenthouse, a prestigious online community of creators and art appreciators and the Venom Team led by actor Tom Hardy who stars in the film as Eddie Brock/Venom. Hardy himself selected the final five winners, the four coming from the US, Japan, Indonesia and Ecuador. 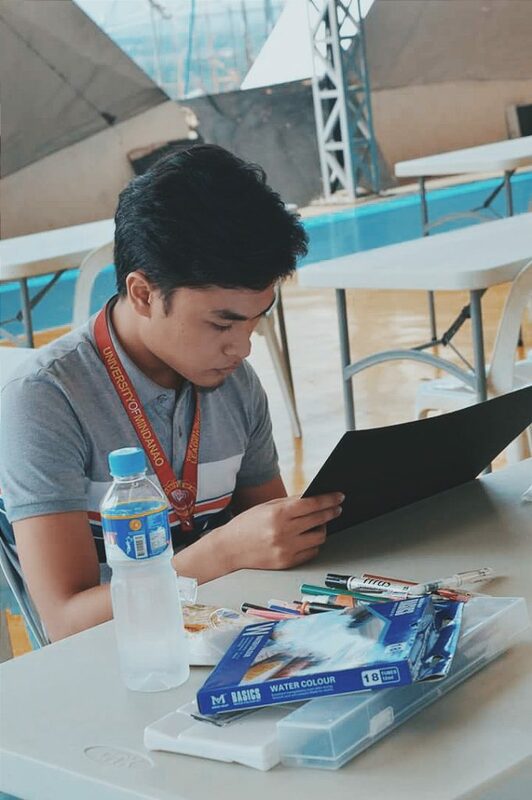 Sumangil, a 22-year-old AB Multimedia Arts student from the University of Mindanao, will receive US $2,000 for his victory. Get to know the budding artist as he talks about the contest in the following interview! Question: What motivated you to compete in the “Venom” art contest? 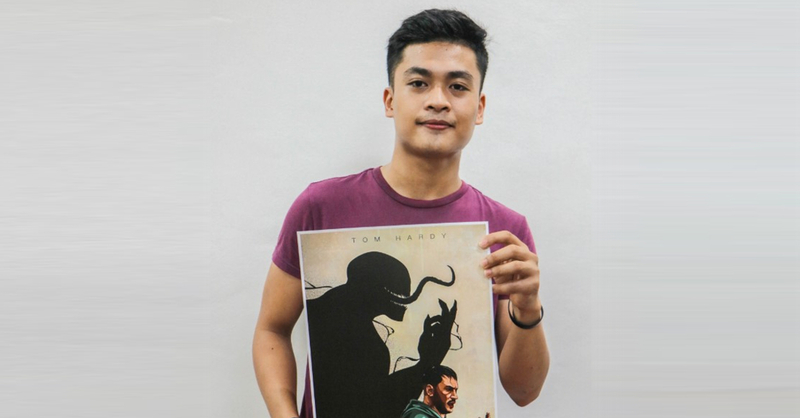 Jeuz Sumangil: I got excited when I saw the creative invite was for “Venom.” Kasi pag sinabing Venom character, ang unang maiisip mo talaga is mabangis, malupit, kaya nakaka excite i- illustrate. However, due to my school load, I wasn’t able to immediately create. Good thing with Talenthouse, the deadline is a month after the invite, giving me enough time to finish my entry. Q: Do you always join art competitions, whether for Talenthouse or in general? Tell us about your experiences. JS: Yes, I learned about Talenthouse only last February through our college professor, Sir James Racho. He’s also a graphic artist and has joined Talenthouse contests in the past. Sabi nya try ko lang daw, kasi maraming magagaling at sobrang worth it ng prizes. Another person who inspired me when it comes to digital illustration is Sir Harrison Espina. I got envious — in positive way — when I saw his works in Talenthouse. It motivated me to strive harder and get better, and since then, I’ve been joining creative invites of Talenthouse, from February 2018 up to the present. Luckily, there’s been progress in my artworks. JS: To be honest, I didn’t expect to win because the submissions were really impressive. You can see from the entries that some of the artists are already professionals, with complete top-level tools. My only weapon is my unique concept, and that’s where I anchored my hopes. While other entries had busy and elaborate ideas, I made mine purposely minimalist. I observed in past contests that the winning designs were simple and didn’t go to extremes, but rather relied on strong concepts and proper execution. Q: Are you familiar with “Venom” comics and character? If yes, what do you like about him? Who are your other favorite Marvel characters? JS: Yes I’m familiar with Venom, I find him very unique, and I like that he’s an anti-hero. He exudes an intimidating, invincible vibe. “Bangis” is how I’d describe him. My favorite Marvel superhero is Thor, followed by Iron Man. Q: How did you conceptualize your “Venom” entry? What is the story behind it? JS: First I had to think of something that can stand for a metaphor to the character of Venom. I watched the “Venom” trailer ten times while brainstorming. Then I hit on the idea of illustrating Venom as a shadow, a metaphor for a person’s dark side, which I think all of us have, we just don’t show or acknowledge it. That’s why I illustrated Eddie Brock (Tom Hardy) looking at his hands as if clueless, lost and wondering what’s happening to him. However, Eddie’s shadow is in the form of Venom, who in contrast is smiling and perfectly aware of what’s going on. I haven’t seen the film, but based on the trailer, I think the film is about facing, accepting and embracing your dark side. It doesn’t mean if meron ka nagawang masama or may dark past ka noon, di ka na pwede gumawa ng mabuti at mamuhay ng malaya. It’s about turning it into positive and learning from it, making it as your greatest strength in life. Q: Do you consider yourself a digital artist? Do you also hand-draw? What’s your preferred process? JS: With this victory, perhaps I can consider myself a digital artist. I also do hand-drawing, like basing sketching, painting, etc. Actually I only started exploring digital art last November when I got my laptop. That’s when I invested time practicing and exploring software used in illustrating. Thanks to my classmates who taught me the basics about digital illustration. Q: What do you plan to do with your US dollar cash prize? JS: I’d probably invest in my tools, like upgrade the specs of my laptop, buy pen tablet to speed up the process because it takes so long with just using a mouse. I also want to take my family out and “treat” friends who’ve been very supportive. Q: What’s your advice for aspiring artists? JS: Envy is a good motivator, so I’d encourage them to be envious of the artists they look up to, and then channel the envy to practice harder and keep on creating. 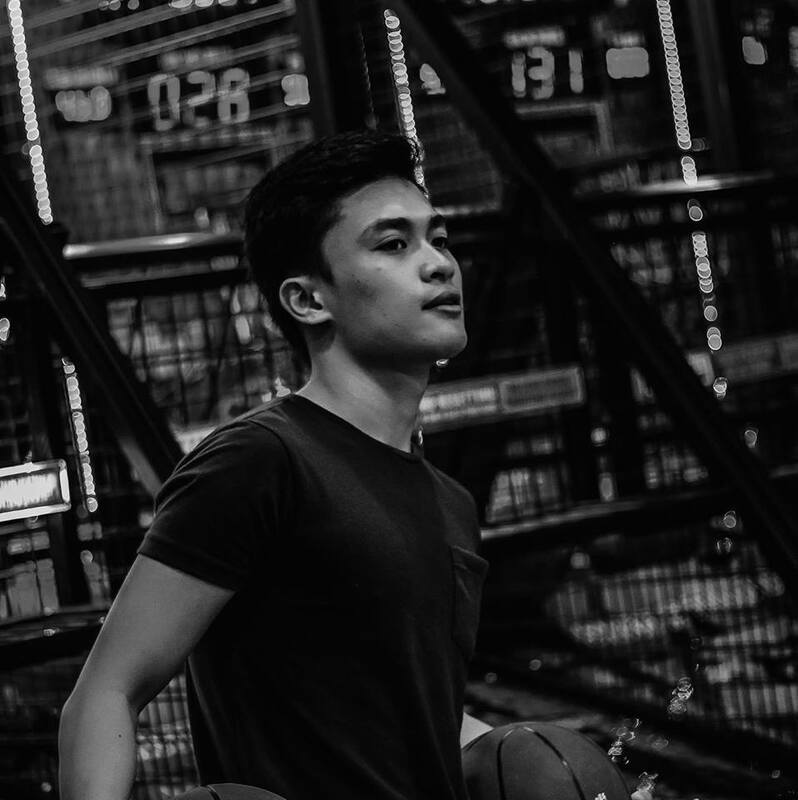 Be humble always, whatever you’ve achieved, always have that humilty inside of you. Always have Faith in God, because our talents came from Him. We are but His instruments in showing everyone the beauty of life through the art that we’re sharing. Lastly, always find inspiration when creating your artwork, accept and embrace critics, enjoy and love what you’re doing. 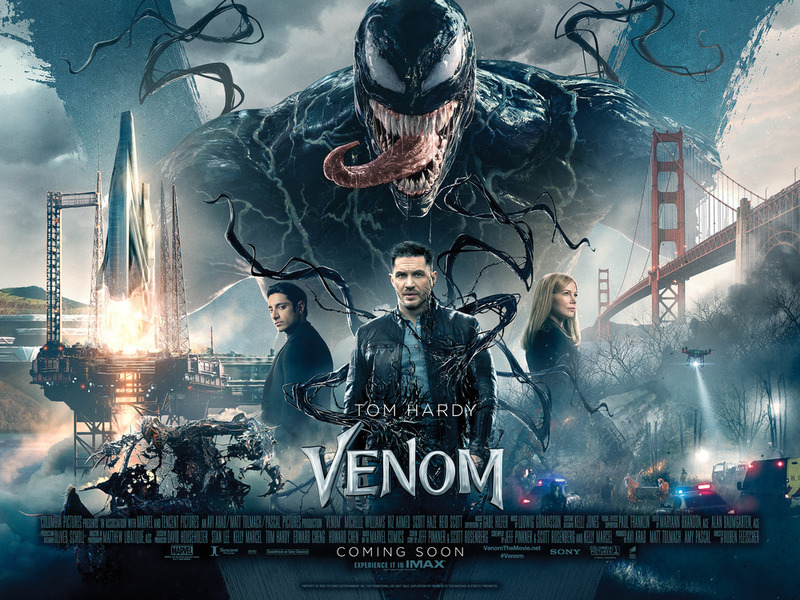 Opening in Philippine cinemas and IMAX on Thursday, October 4, Venom is distributed by Columbia Pictures, local office of Sony Pictures Releasing International!